Go to www.inzpire.me and find the Sign Up box in the upper right hand corner of the webpage. 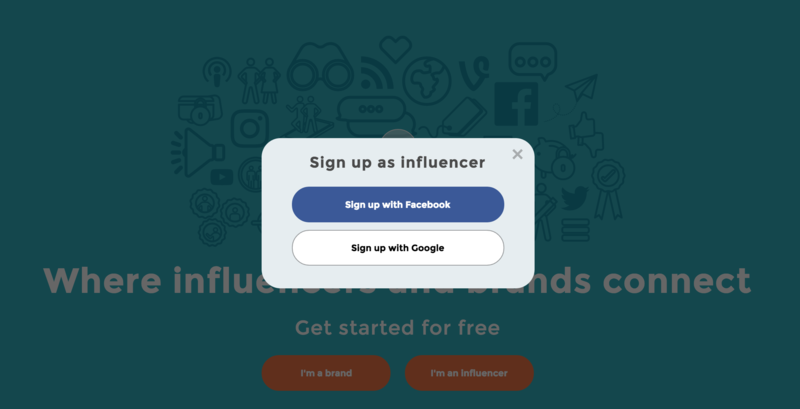 Select "I'm an influencer" and sign up using either Facebook or Google. Alternatively, you can select "I'm an influencer" directly on the inzpire.me homepage, then sign up using either Facebook or Google. Signing up and creating an inzpire.me account is free. 2. 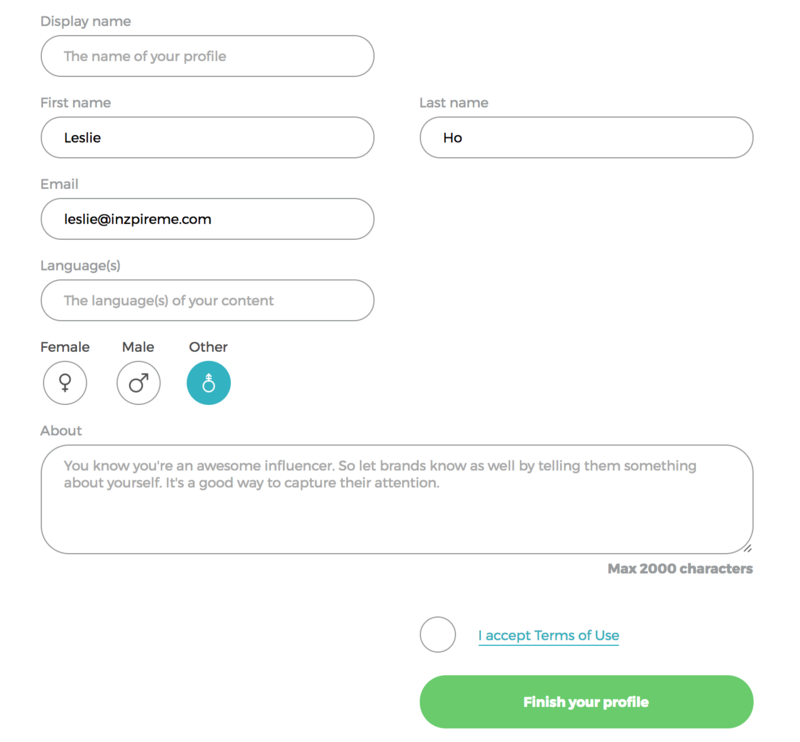 Once you've signed up, you will be asked to Connect or Add the social media channels you would like to have displayed on your inzpire.me profile. When you're finished with this step, click Next: topics and pricing. 3. Using the drop down arrow, select or begin typing the Category you classify your channel(s) as. 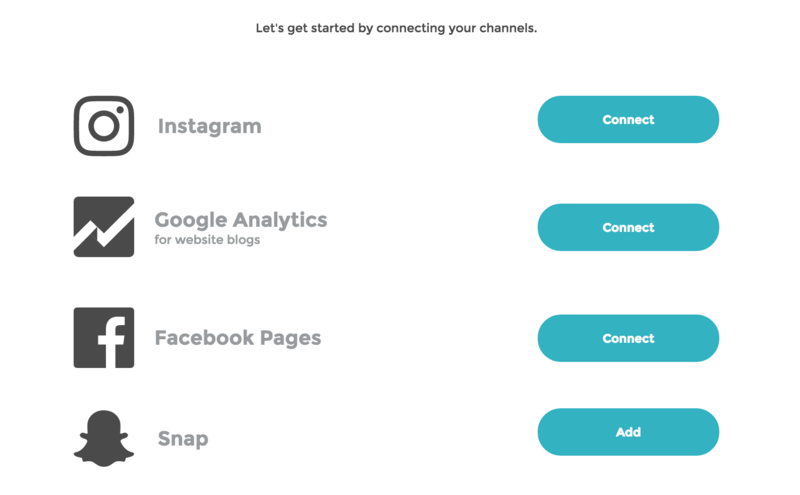 Select or begin typing the Topics covered within your channel(s). Next, you will need to input your Location. 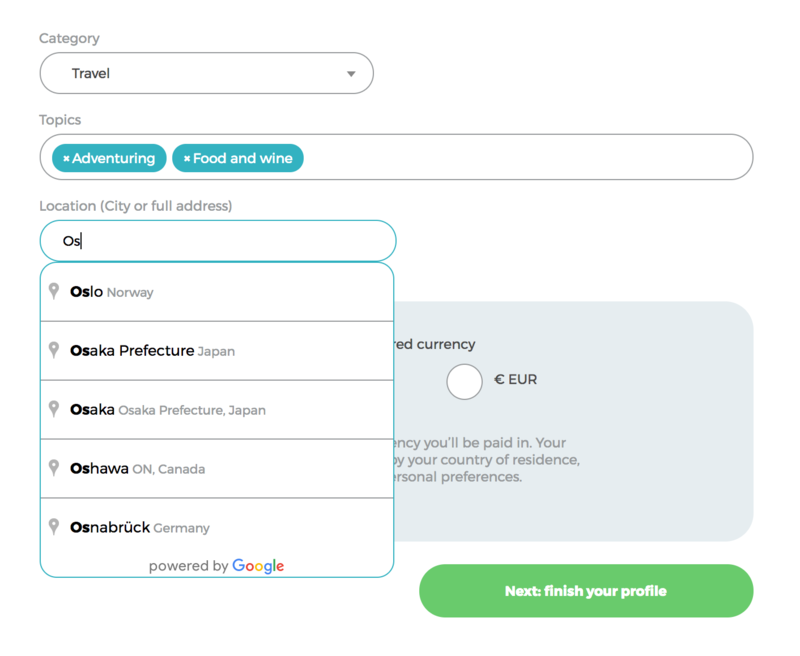 Begin by typing in the city you are located in, or the city you spend the most time in, and select the correct location suggestion. 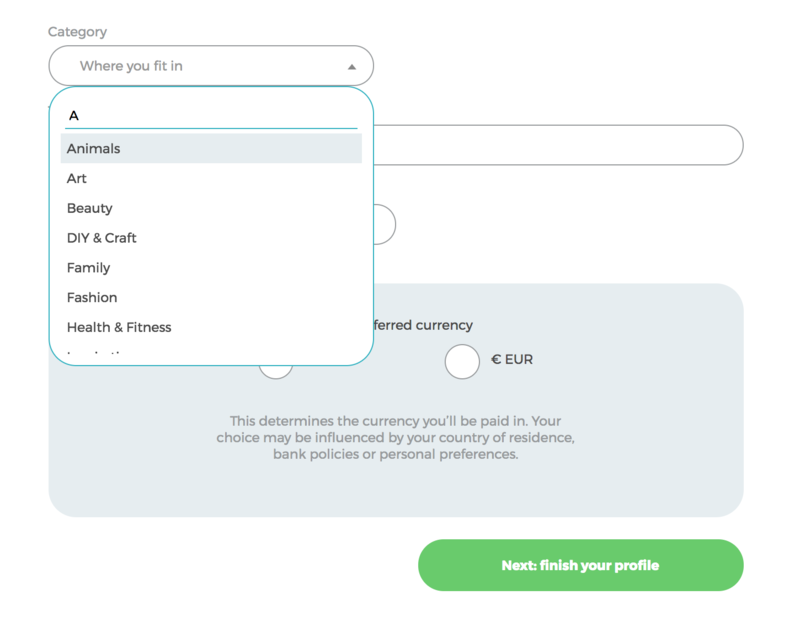 Then, select the Preferred Currency you would prefer to be paid in. Currently, there are two currency options: USD ($) and Euro (€). Learn more about Currencies and Exchange Rates here. 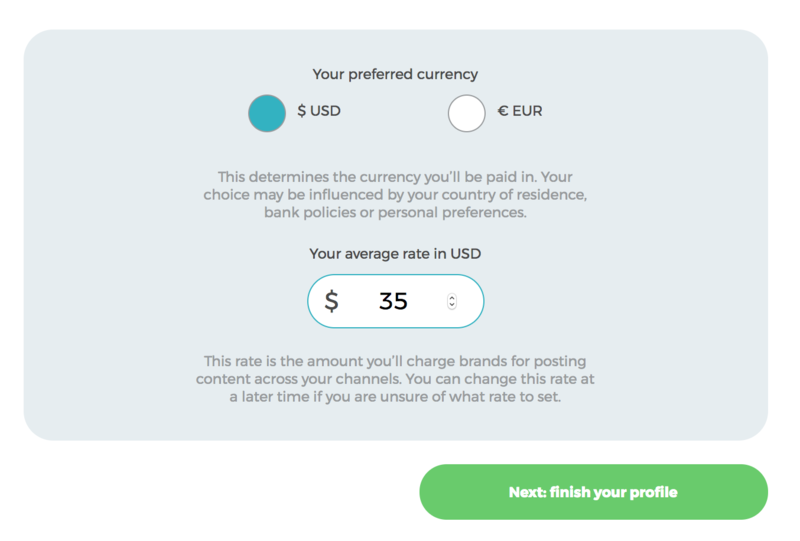 After you select your Preferred Currency, you will be asked to set the Average Rate you would like to charge brands for posting content on your channel(s). Learn more about setting your average rate here. 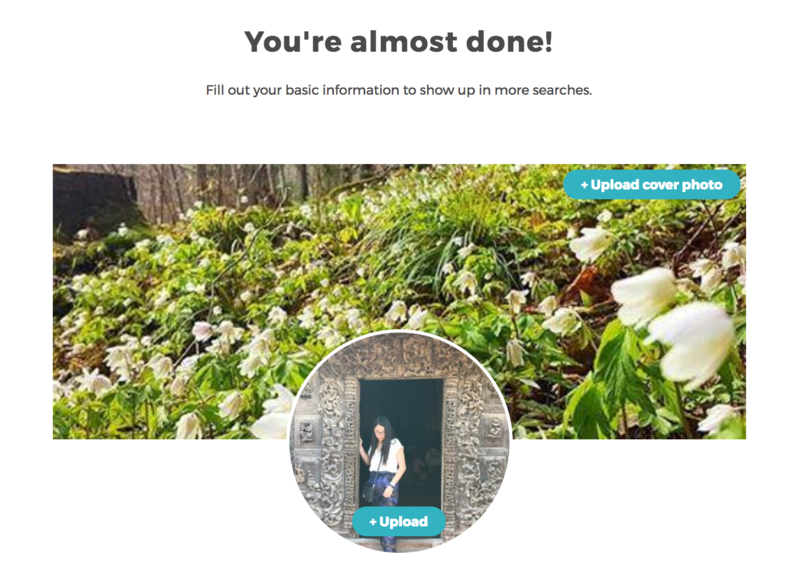 Once you've completed this step, click Next: finish your profile. 4. Here, you can upload a profile picture and cover photo. 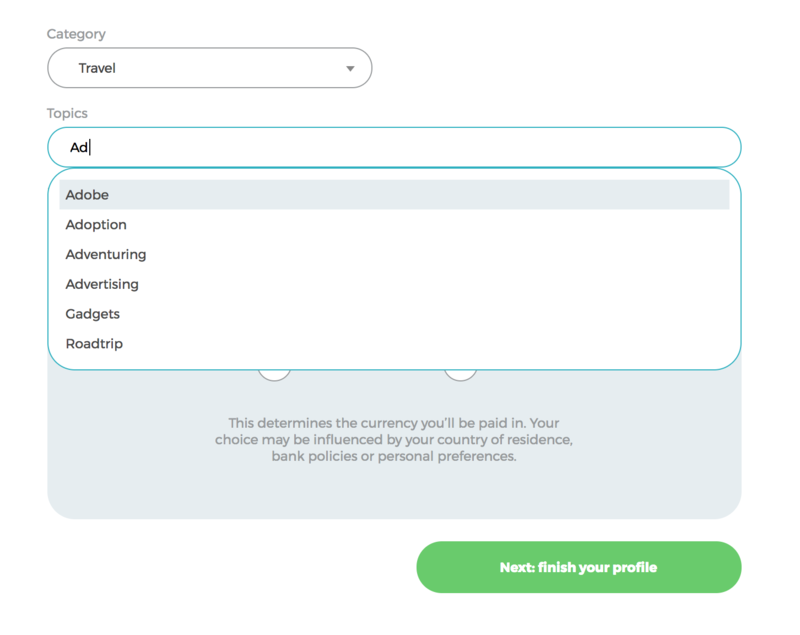 Create a Display Name, which will be the name you would like Brands to know you as. Enter your First Name, Last Name, Email, the Language your channel(s) is in, and Gender. Write a brief description in the About section. This can be about you, your social media channels, what you want to work with, or anything else you'd like to share. Be informative and creative! Remember, this will be the first impression you make on a Brand. Note: When you select Finish Your Profile, you may be asked to confirm your Location. Select the correct option. If the suggested locations are incorrect, try re-typing your location. 5. After you've completed this step, select Finish Your Profile. When you select Google or Facebook to sign up for an inzpire.me account, you are choosing to use your Google or Facebook username and password to sign in to inzpire.me. Please note that inzpire.me does not have access to your personal information or data. If you have any questions or concerns, refer to the Privacy and Security page on Google or the Privacy page on Facebook.